Spotless Copy is passionate and dedicated to helping both native and non-native English language users around the globe by producing copies that best suit their target audience. We serve scientists, businesses and university students with invaluable copywriting and editing services. Spotless Copy started by providing copywriting, and proofreading and editing services to academics at Wageningen University and Research, in The Netherlands. Its services have since extended to reach out clients in different parts of the world. Our services are reliable, affordable and available 24/7. Contact us anytime! Give us a summary or an idea; we will swiftly craft perfect copy for you, for any media platform and/or audience. We offer all our first clients a 10% discount for copywriting for the whole year. We offer FREE TRIAL editing. Remove all your doubts! Send us few pages of your document, and we will edit one page free of charge. I am always a bit sceptical when it comes to picking a proofreader or an editor; however, after seeing the quality and time taken in my free sample editing, I did not hesitate to engage Spotless Copy for editing the whole paper. I also requested their services for my second paper. Truly, I couldn’t be more satisfied. 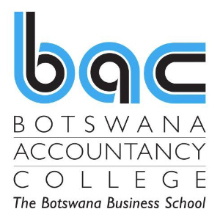 Dr Taonaziso ChowaLecturer (Actuarial Science & GSB), The University of Zambia. Recently, we worked on a big assignment as a group. Each one of us had to write his/her part. It was difficult for us to correct the document before the deadline. We sought editing help from Spotless Copy, after being referred to them by one of my friends. They understood our plight and thoroughly edited our assignment within stipulated time. Considering the quality of their services and flexibility, they are the best we know. I chose Spotless Copy for editing and proofreading of my project proposal since their charges are quite affordable. They offer pitch-perfect editing for less. Spotless Copy was very instrumental in proofreading and editing of my first self-help book entitled “15 Secrets for Personal Financial Success – A Simple Step-by-Step Plan for Financial Freedom.” The quality of editing and comments that I received for my book were complete. My book is already on Amazon. Thank you once more.